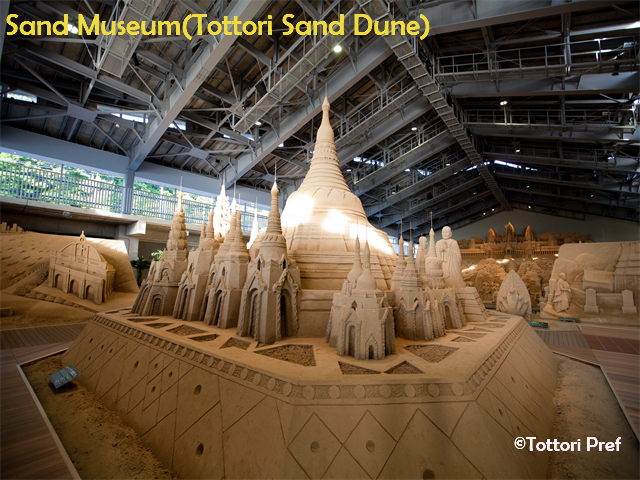 This is the most typical itinerary for Tottori Prefecture. This covered everything that makes your trip more enjoyable. 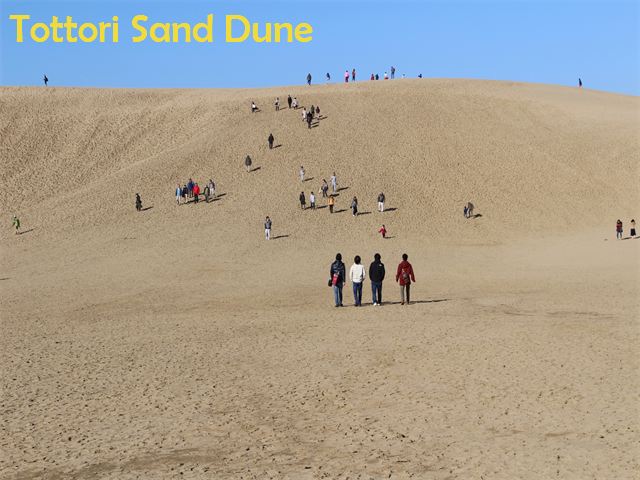 Tottori Sand Dune is the largest sand dune in Japan. You can enjoy paragrider and camel rides. Since this is the only spot that you are going to on the first day, you can spend as much time as you want. 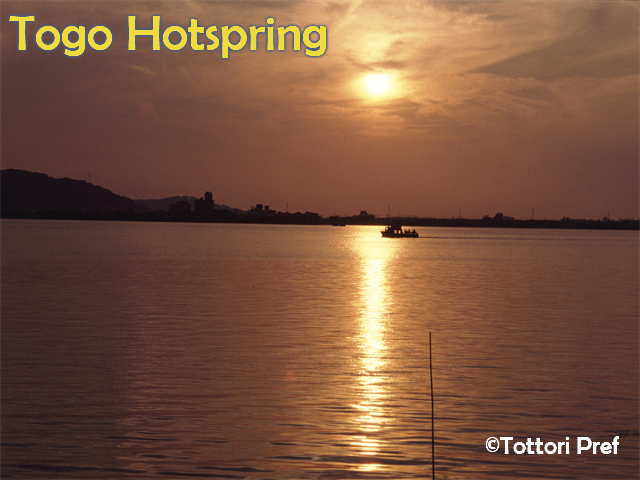 Togo Hotspring has beautiful landscape and nice atmosphere. 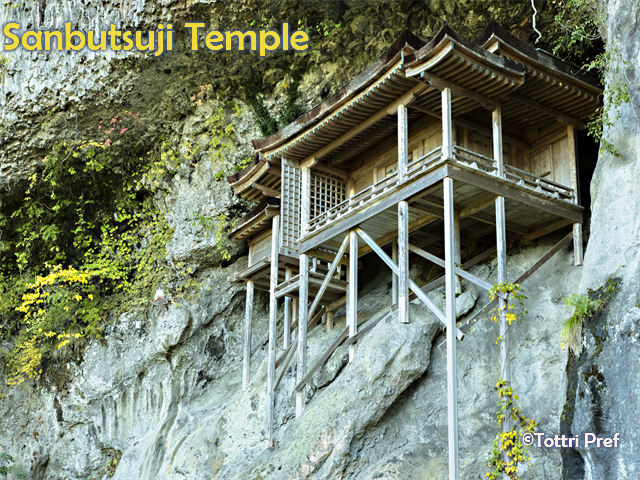 Sanbutsuji temple is national treasure known as one of the most dangerous temple in Japan. The view from the temple is absolutely breathtaking. 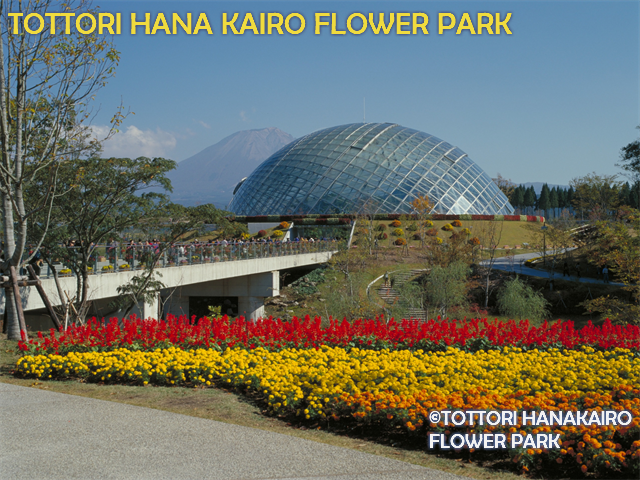 Tottori Hanakairo is a beautiful flower park where you can see a wealth of flowers. 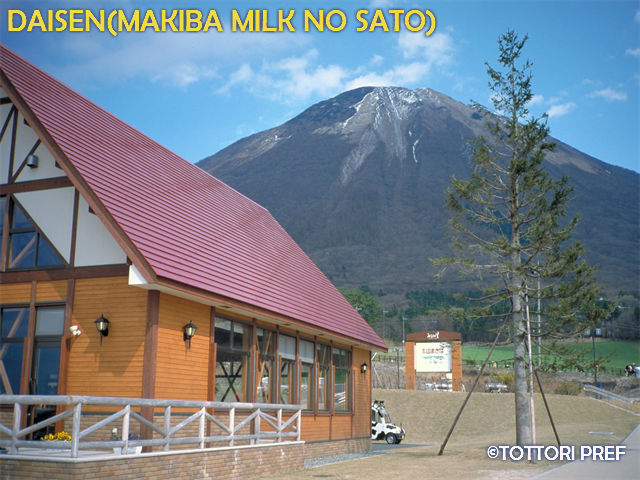 Before you check-in the hotel(ryokan), you can also enjoy Mt Daisen which is the highest mountain in Chugoku region. Kaike hotspring is the most popular hot spring in Tottori where you can go to the beach a step away from the hotel you are staying at. 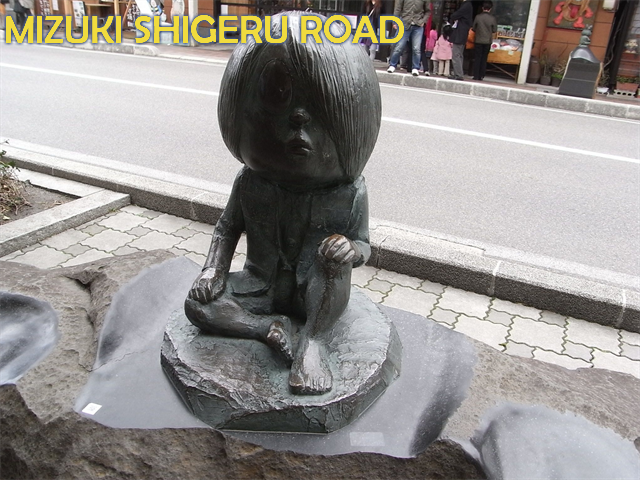 Shireru Mizuki is a manga artist who produced the manga "Ge-ge-ge no Kitaro" was born and raised in Sakaiminato city. There are lots of spirit statues line up on the street. There will be so much fun at this place. 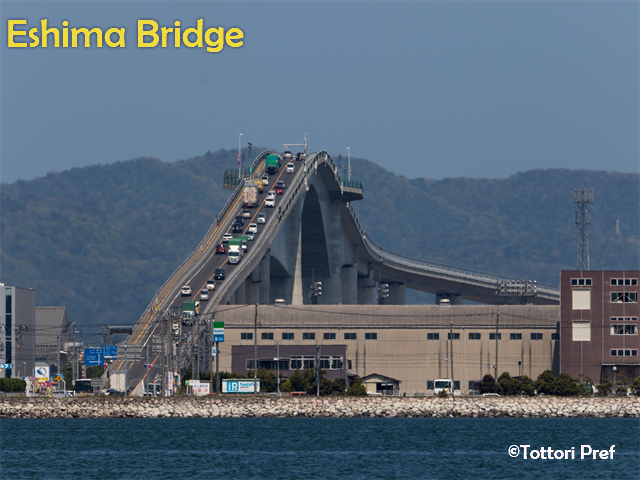 Eshima Bridge is one of the most picturesque bridge in Japan. We believe you have never seen such an amazing bridge. 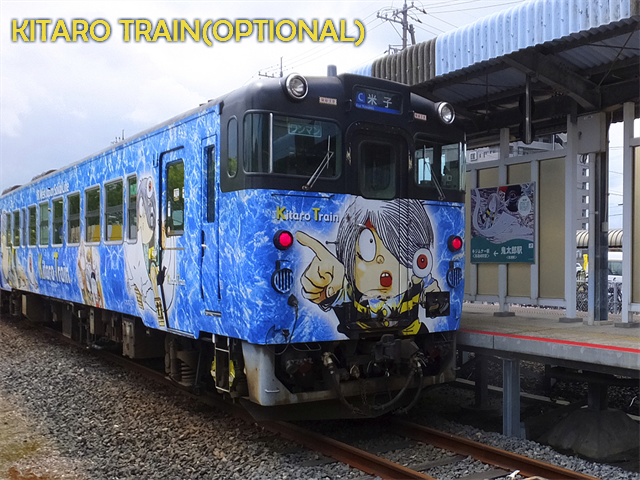 You can enjoy Kitaro train ride from Yonago station to Sakaiminato station on day 3 depending on your departure flight.